Old and new Ikelite 1-inch balls and clamps are interchangeable. For the best performance, Ikelite recommend combining like components within a single clamp (two balls with grooves, or two balls without grooves). Ball components with an o-ring groove should have an o-ring installed at all times. 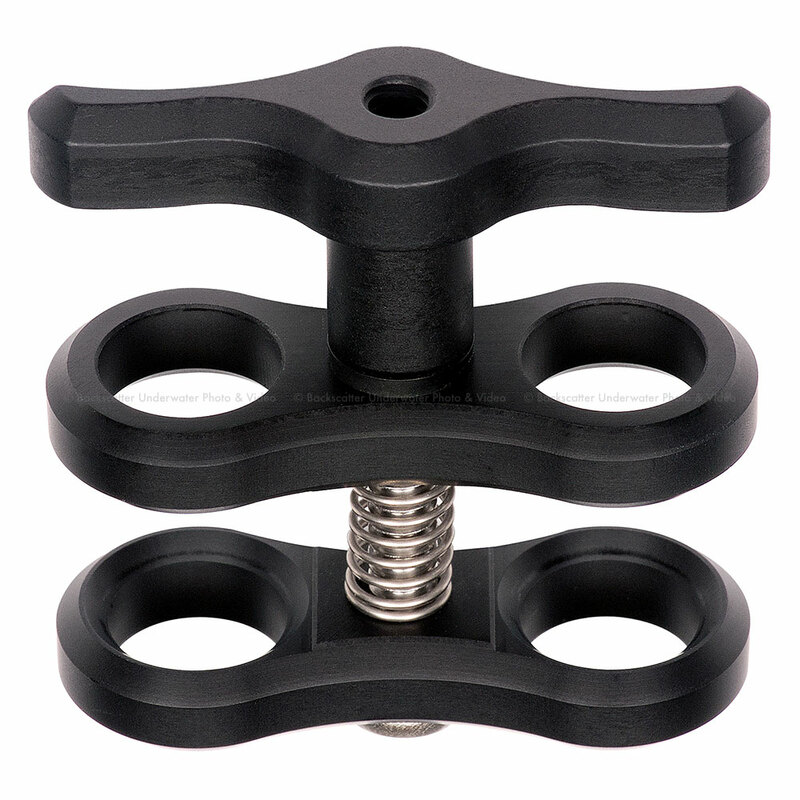 This clamp replaces Ikelite's Product Number 9571.2.